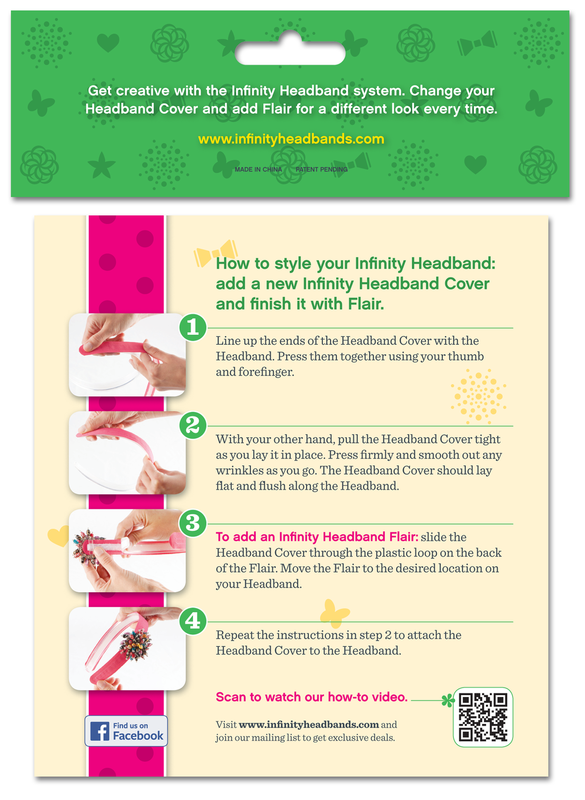 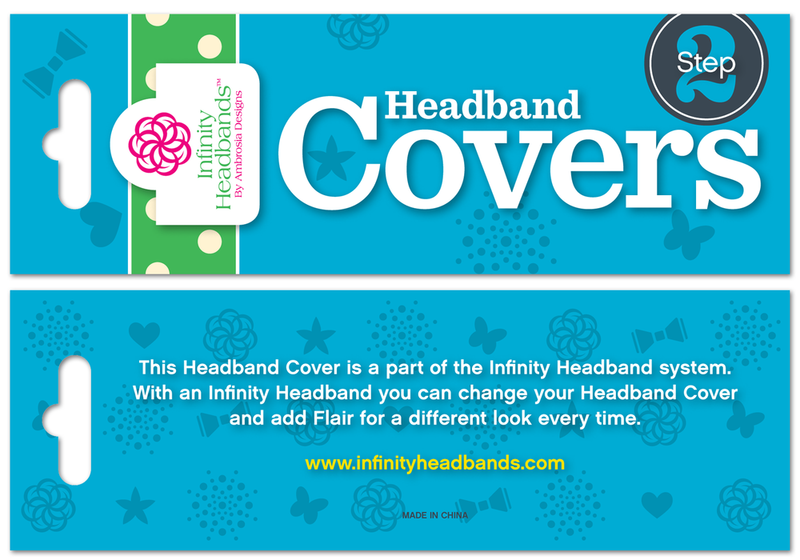 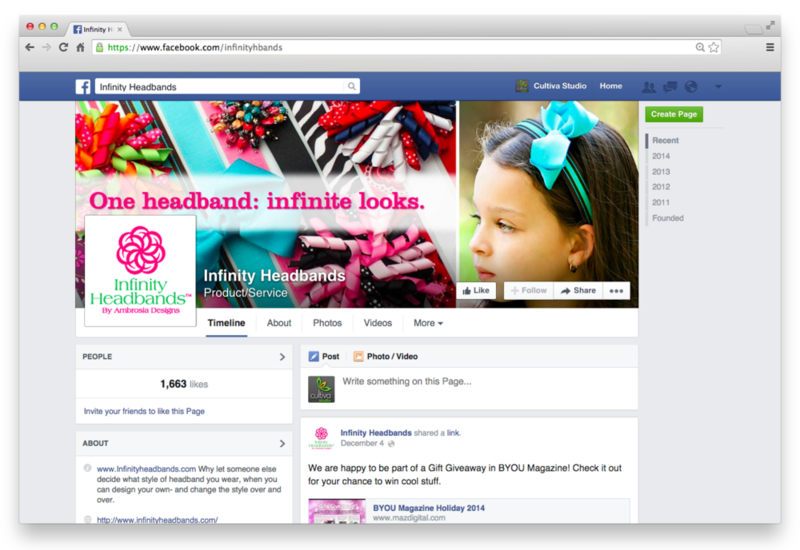 Infinity Headbands is a headband system that has interchangeable covers and add-ons like bows for decoration. 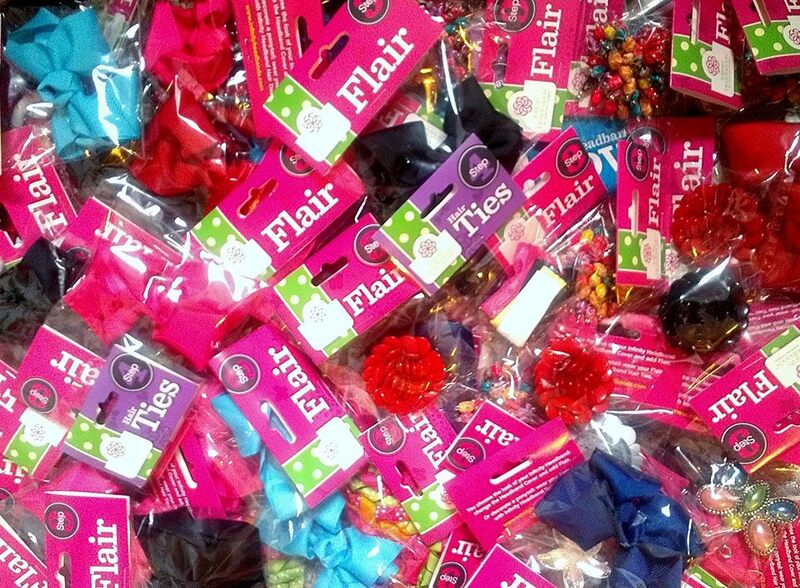 They also sell elastic hair ties that you can decorate with an clip-on bow. 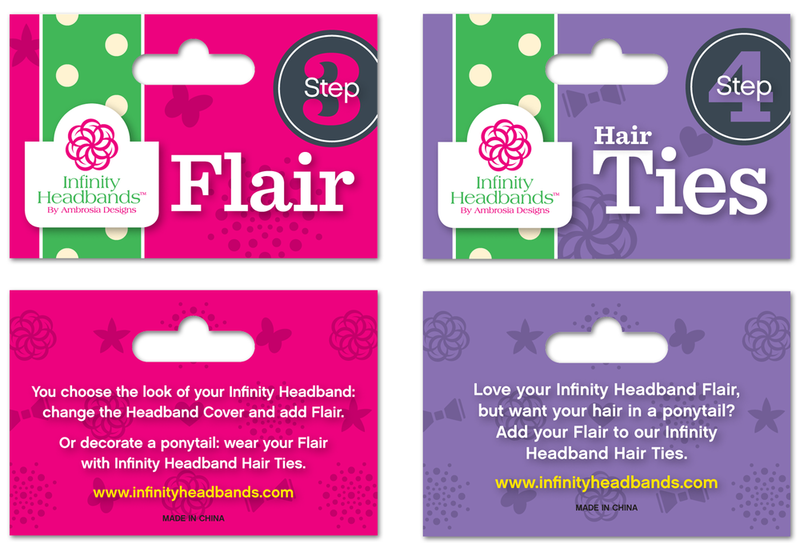 Ashley & AnnDee of Infinity Headbands hired Lisa from Cultiva Studio to redesign their packaging.